For those following the previous posts regarding the abuse of the Unilateral Notice system with the UK Land Registry and Welcome Finance, there has finally been a happy ending in this case. Following a previous posting of this story we were contacted by John Harley, one of the moderators of Consumer Credit Support who told us that the forum knew of other people who were having problems with Welcome Finance and that they were being represented by a lawyer from Stephensons in Manchester, a well known firm of solicitors specialising in this kind of litigation. Mr Harley kindly offered to forward the details of our client Ms L to Stephensons to see if they would be able to represent her against Welcome Finance. She also followed the Land Registry’s procedure for applying for a Unilateral Notice to be proven by the beneficiary (Welcome) or removed (a process that resulted in the Land Registry refusing to remove the charge even though no evidence had been supplied by Welcome to support the terms of their charge on the property). The Land Registry told Ms L that she must pursue her own legal action against Welcome Finance. Remember this is woman facing repossession, with a charge on her property of which she was not informed and for which there was no reason, or evidence of any loan or debt to the lender. It was ultimately only the threat of legal action and the involvement of Stephensons that finally made Welcome apologise and then request that the LR remove the notice from the register. This news was received by Ms L by phone the day before Christmas Eve and means that she can finally stay in her home and not be repossessed due to the spurious claims of a lender with whom she had never had an agreement. Thanks are due to Mr Harley for suggesting Stephensons get involved. 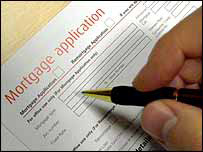 The FSA told UK mortgage lenders this week to expect a massive rise in repossessions and defaults on payments. In a twist whose irony will not be lost of the tens of thousands of UK victims of home repossession, many lenders are now in trouble and unable to refinance their debts, in the same way that many of their customers have been refused remortgage finance to service theirs. Of course, the difference is that the individual homeowner facing repossession loses their home, whereas the banks facing similar situations get bailed out by public money, including taxes paid by the very homeowners who were repossessed. It shows the old adage to be true that if you owe £5000 it’s your problem, if you owe £50 million it’s the bank’s problem. Or in this case the Government’s. As a follow up to our previous post about Welcome Finance placing a Unilateral Charge on the property of someone who they claim owes them money, we have further news about the Land Registry refusing to remove a unilateral notice despite the fact that the law clearly states that the beneficiary of the notice (in this case Welcome Finance) MUST provide evidence of the reason why the notice was placed in the first instance. These notices can be registered by anyone prepared to the pay the LR fee, and all they need to do is state a ‘reason’. No actual proof of claim is needed! The property owner then has the burden of applying to the register to have the spurious claim removed. The Land Registry’s own guidelines state that if the beneficiary does not respond within 15 days showing proof of validity of the claim relating to the unilateral notice, then they will automatically remove it. Sounds fair? Yes. Until you actually go through that process, as we have just done with our client Ms L.
In her case Welcome Finance provided nothing more than an email almost at close of play on the 15th day. An email (Ms L was told that she could not supply evidence by email) that merely stated that they ‘objected’ to the removal. No copies of signed loan agreements to back it up. Welcome Finance have already broken the statute on the Consumer Credit Act by not providing Ms L with true copies of all original loan agreements, and within the next few days will be in criminal breach if they do not provide these. The truth seems to be that if Welcome Finance actually had these proofs they would have supplied them to back up their claim of almost £20,000 that they are claiming the unilateral charge refers to. The guidelines are quite clear. In the absence of proof the Land Registry should automatically remove the charge. In keeping with the mentality of other agencies of this Government, the LR have refused to get involved and suggests that Ms L seeks removal of the charge by taking legal action in court. This is a woman on relatively low income, who lives alone, who is facing imminent repossession because of the actions of a lender who cannot prove any debts are actually owed and now the Land Registry have acted as a partner in the inevitable repossession. Even the lenders who are seeking repossession from Ms L are appalled that the LR have not removed the charge that Welcome cannot prove. Admittedly this may be sour grapes on their part if the LR have acted differently against their own unilateral notices but it does go to show the LR have acted appallingly. There is of course a system of redress via one Jodi Berg, the Independent Complaints Reviewer that covers the LR activity, but by the time anything is decided, Ms L will be homeless, Welcome Finance will have pocketed the £20,000 that they have no legal or moral right to, and this will be the fault of the Land Registry.